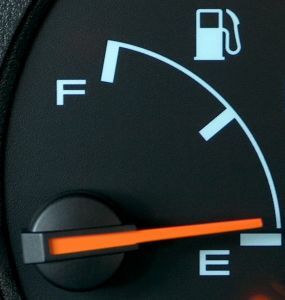 Ever thought about where the petrol in your car’s fuel tank comes from? That’s where the story of “Crude: The Incredible Journey of Oil” begins around 160 million years ago in the area now known as the Middle East, which was then covered by sea. The key players in this story are the plentiful microscopic photosynthetic plants and bacteria which were harvesting the energy of sunlight on the surface of that ancient sea. This energy they stored millions of years ago is the origin of the diesel fuel powering your bus to work, jet fuel for your flight overseas, plastic bags that hold your purchases from the supermarket as well as being pivotal to many more items you can see around you like bottled water. During the last 150 years we’ve had a convenient, cheap and abundant source of energy that changed the world. That source is oil, which concentrates sunlight from millions of years ago into a liquid which we burn to power modern industry and the economy. We like to think we’re living in the age of technology and silicon chips but the power behind that throne is oil. The ABC’s award winning documentary “Crude: The Incredible Journey of Oil” narrated by Dr Richard Smith explains all this, shedding light onto an issue which few people think about. For the most part, oil is invisible to us. We rarely see it, we rarely smell it. We have no real feeling for the enormous quantity of the stuff that fuels our existence and few people beyond oil industry experts are aware that we have passed “peak oil”, the glass half empty point where we’ve burnt more oil in the past than remains in oil reserves. – Dr Sadad al Husseini, Former Chief Geologist Saudi Aramco. You can buy a copy of Crude: The Incredible Journey of Oil from ABC Shops instore or Online and other DVD retailers. The following video is a related topic: an excerpt from an ABC TV 4 Corners documentary about Peak Oil. Bumped into your blog. I keep on telling the people I know, that they better bolster their self sufficiency knowledge if they expect to ride out the peak oil curve. Until a better technology comes through, we are in for a rough ride! Would it not be better if our scientists could come up with an alternative to crude oil? Just think how much of pollution this crude oil has already created for us. This topic really makes you think. As a student in economics we explored the alternative energy sources and can up with one conclusion. There is no alternative energy source. As a business we try to reduce our impact on the planet by trying not to use ink in our printer by avoiding the print button, going to do estimates in smaller cars, and we have even mastered the art of cutting by hand to eliminate the use of tapes and plastics. We know that we use oil in our cars and paints (ultimately produced by oil) to provide a service for our customers and attempt to limit the amount of each on a daily bases.